For the second year in a row, our annual buyer's guide hasn't included hardtails, and a few of you have asked why. We don't want to leave any category out of this guide, which many riders turn to when deciding how to spend their precious dough. We wish we had the time to include everything, but we don't. This year, we had 12 days of testing, allowing us enough time to effectively review around 30 bikes. Our goal is to select the most promising bikes of the year and to provide helpful feedback about each bike's ride characteristics. We're not saying that there aren't any promising hardtails–there definitely are, especially now, with the whole plus-size trend. But there are a ton of amazing full-suspension bikes out there, and honestly, suspension bikes give us a lot more to talk about. They require much more than just a look at the geometry chart to get a sense of how they'll ride or hold up to abuse. Sometimes, we test a bike that looks one way on paper, but winds up behaving completely differently on the trail. Case in point: The Rocky Mountain Altitude we tested this year. On paper, it belongs in the all-mountain category, but we wound up classifying it as a trail bike because of how balanced it was climbing versus descending. This rarely happens with hardtails: Even the new, extra-capable ones with short stays, long front-centers, low bottom brackets and slack head angles will pretty much ride the way the geometry chart says they should. Back in the March 2011 issue of Bike, our then-editor Joe Parkin printed a letter from a reader who took issue with us not reviewing enough singlespeeds, to which he responded, "reviewing a gaggle of them seems a bit like reviewing a bag of McDonalds cheeseburgers." In the same respect, a hardtail is pretty much a known quantity–much more so at least than a full-suspension bike. Hardtails are simpler, more reliable, and often more affordable–giving them plenty of reason to exist. They're easier to load up with gear for long adventures, won't blow a shock or break a pivot bolt in the middle of nowhere and require far less maintenance, making them less expensive to own. They're still relevant, but they offer no single performance advantage over full-suspension bikes. 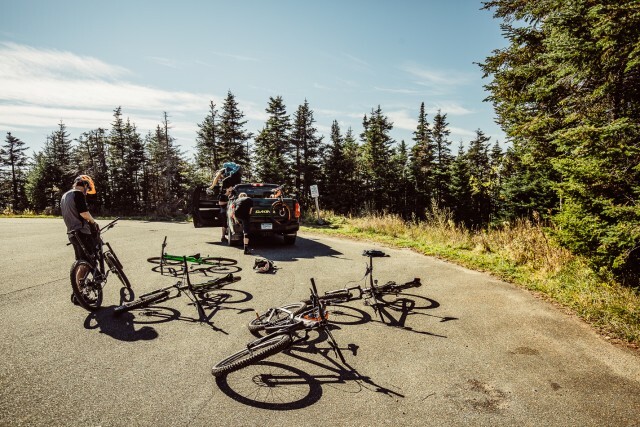 There's a common misconception that they climb better than full-suspension bikes. They just don't anymore. And they certainly don't descend as well. Does that mean we'll stop testing hardtails altogether? Hell no. In fact, I just finished writing a review of the Specialized Fuse that will be published in the upcoming March issue, due to hit newsstands on February 19. But hardtails are still pretty basic–that's sort of the whole idea. And since two full-suspension bikes with the same geometry can ride completely differently, we choose to fill the few precious openings we have for Bible with bikes that need more explaining. In doing so, we hope to create the most valuable guide for you, our readers.